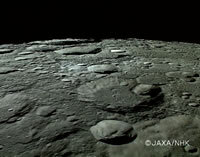 The major objectives of the KAGUYA mission are to obtain scientific data on lunar origins and evolution, and to develop the technology for future lunar exploration. The scientific data will be also used for exploring the possibility of future utilization of the Moon. The Moon has been observed and explored extensively as the most familiar body. Although the Moon is more thoroughly studied than any other planetary bodies in the solar system, its origin and evolution process are still controversial. The KAGUYA mission targets are the global characterization of lunar surface and detailed gravimetry. This mission will provide globally the high-quality and high-resolution data on element abundance, mineral assemblage, surface topography, sub-surface structure, magnetic and gravity field, and precession. We aim to better understand the origin and evolution of the Moon by these observations.